This is another genus that is almost entirely palaearctic, with a few species described in North America that probably belong to other genera (as noted by Blackman and Eastop, reflecting my own opinion). 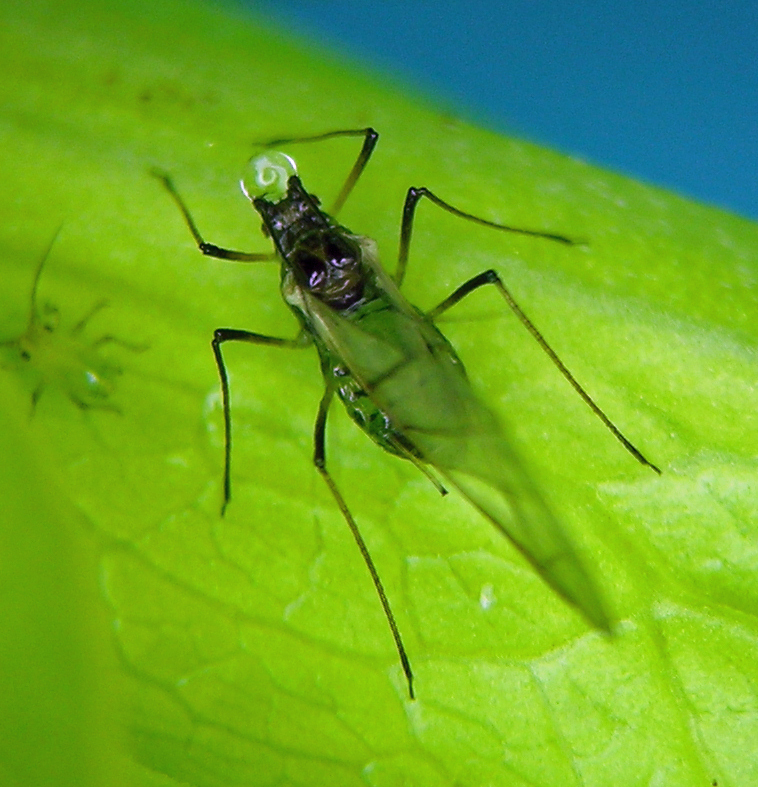 See my coverage of Ericaphis for additional thoughts on North American species. The group is characterized by generally looking like Acyrthosiphon except having very spinulose head and antennal tubercles. This aphid is not quite like an old friend, considering it is invasive in North America, but I have affection for it because when I am desperate to find an aphid in a harsh heavily disturbed or managed habitat, this is often the species. In my area, this aphid is the common polyphagous invasive species that is found in cool places and times of year, feeding on a tremendous variety of plants. Aulacorthum solani that was living on our native Salvia shrub. For example, the apterous vivipara pictured was found in spring on a desert shrub in the mint family, growing near a cliff bottom in a very dry desert location, but in May while it was still cool and spring-like. 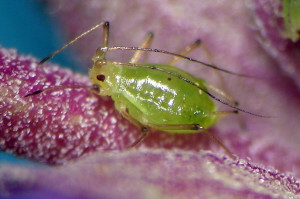 This species is also one of the very common pest aphids found in crop lands in spring, especially locations where winters are mild and overwintering as viviparae is possible. Another example of a heavily disturbed habitat where A. solani is common is Hells Canyon of Idaho and Oregon — a place formerly dominated by ranching that is now almost devoid of native plants other than the trees, shrubs, and specialized cliff-dwelling plants. Aulacorthum solani from Hells Canyon in April.